3D imagery and walkthroughs are a ubiquitous part of the architectural and real estate fields these days. More often than not, every real estate kiosk or booth one comes across nowadays will have a 3D walkthrough of their respective properties on display. 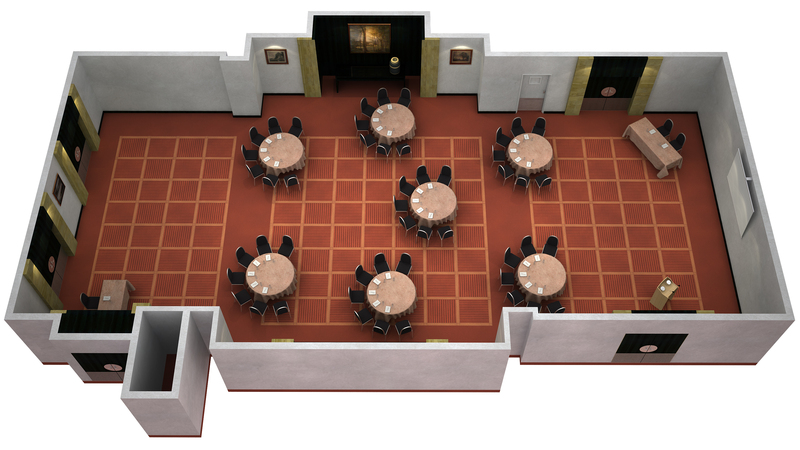 In fact, more and more parties are relying on 3D walkthroughs as means to represent the final product in lieu of physical models and model rooms or units. Still, simply putting together a representation of a soon-to-be built architectural project requires more than just using a computer to slap together something hastily. Other factors have to be taken into consideration. One such factor is lighting. Good lighting can do so much to help convey a certain mood or emotion even in a simple animated 3D walkthrough. The practice of using lighting to define scenes is pervasive in all forms of visual media. From paintings to movies, comics and even videogames, all use lighting to varying degrees as an integral part of how they express certain scenes. For example, soft, off-white lighting can be used in walkthroughs of certain rooms can be used to convey a relaxed, mellowed-down atmosphere. In other cases, natural daylight can also achieve the same effect. Softer and dimmer lights are usually placed in scenes that want to portray a more intimate or personal atmosphere. Ambient or indirect lighting mixed with ample shadows portrays both mystery and high class. Used in conjunction with textures, mapping, and the right camera angles, proper lighting can greatly improve the way a 3D walkthrough is presented. It gives audiences a greater feeling of “actually being there” and also provides a more accurate representation of the final product and the kind of atmosphere it wants to achieve. The Internet has been ablaze as of late because of Microsoft’s latest masterpiece, the Kinect for the X-Box 360. This gadget integrates real world motion and images with 3D graphics quite similar to the current trend for 3D augmented reality cards that has been used for promoting stuff including clothing lines and believe or not even the Japan’s life sized Gundam. It has become such a highly anticipated add-on for X-box users and owners that in mere days after it’s release, several so-called hackers have even made several nifty and cool applications that fuse together a variable of stuff including 3D walkthroughs and 3D renders. Some “hacks” have gone as far as emulate the classic lightsaber from the even more classic movie “Star Wars”. Showcasing a great fusion between 3D renderings and real life, Kinect will sure become the face of how we will be playing video games in the near future. Because of the rapid speed of evolution for the building design and construction industry, many businesses have begun to improve their technology in order to be able to gain a headstart against their competition. Today, fully modeled 3D renderings are one of the latest technologies that are widely used in industries including architectural, real estate and construction firms. These are basically defined as a computerized process which changes a digital 3D model turned into a rendered image. These 3D renderings might follow 3D floor plans or even the regular floo plans and blue prints. They would also contain geometric information, texture information, ambient lighting and surroundings and even shade details. All 3D renderings can be used for various areas and buildings including those for residential, commercial, industrial and institutional. There will also be a high level of customization including the potential to add effects such as sunlight or artificial light and even shadows. Some of the softwares that are required in producing such great 3D renders would most likely include stuff like 3D Max 9, Cap Studio 3.2, Giza 2006, AutoCAD 2007 and even Photoshop CS3. 3D is slowly setting the creative world on fire thanks to its many uses and applications in almost all types of fields, businesses and industries. While decades ago 3D animation and other similar realms might have been frowned upon, these days, it’s 3D that actually sets all the benchmarks. If we’ve learned anything from watching tons of movies the past few years, its that 3D animation, 3D renderings and even believe it or not, 3D walkthroughs have been instrumental to the rise of the 3D graphics industry. With 3D, regardless if its for 3D walkthroughs or 3D renderings, life and every little detail gets captured digitally. Architecture has also benefited a lot from the advent of 3D technology. 3D technology has become the new age lifeblood for a lot of architectural firms not only in North America but for the rest of the world. These firms and real estate companies have now learned to effectively utilize and use various materials such as the 3D walkthroughs, 3D renderings, 3D floor plans and other services to help hit the spot when in comes to selling homes or buildings. What’s The Difference Between 4D Presentations and 3D Renderings? The entertainment industry has been thoroughly blessed with a lot of things that can be later used by other industries such as real estate and architectural industries that basically deal with building homes and creating brighter households for families not only locally, but around the world. 3D particularly 3D renders have slowly become staples in the world of architecture and real estate. It is no longer placed in a world for entertainment, spotlights and projectors but instead in a world for scaffoldings, floor plans and blue prints. And with Hollywood and the rest of the entertainment industry abuzz once more by the resurgence of the 4D entertainment, its time to differentiate and list the strong and weak points between a 3D rendering or film with its younger brother, 4D cinema experience. So what is 3D, 3D or 3 dimensional is an optical technique where two images are projected side by side, one for each eye and then played in two different cameras which are slightly tilted away from each other. This creates the illusion in our eyes that the objects that we see are actually coming out of the screen rather than just staying flat on the silverscreen. 3D is also being used in more common ways such as through 3D renderings and 3D floor plans which is used primarily for architectural purposes. Can be turned into a fancy looking 4D presentation complete with physical motion coming from various elements within either the chair where the person or viewer is sitting or from outside. With the current recession still plaguing a lot of infrastructures, industries and businesses all around the country, the only way to truly survive and thrive is by embracing the latest business trends and technologies to get ahead of the competition. This is true and it can be said even for architectural firms and even real estate sales companies around North America.Every technology and every new business model or idea can be used and utilized in order to further improve the company and the business. 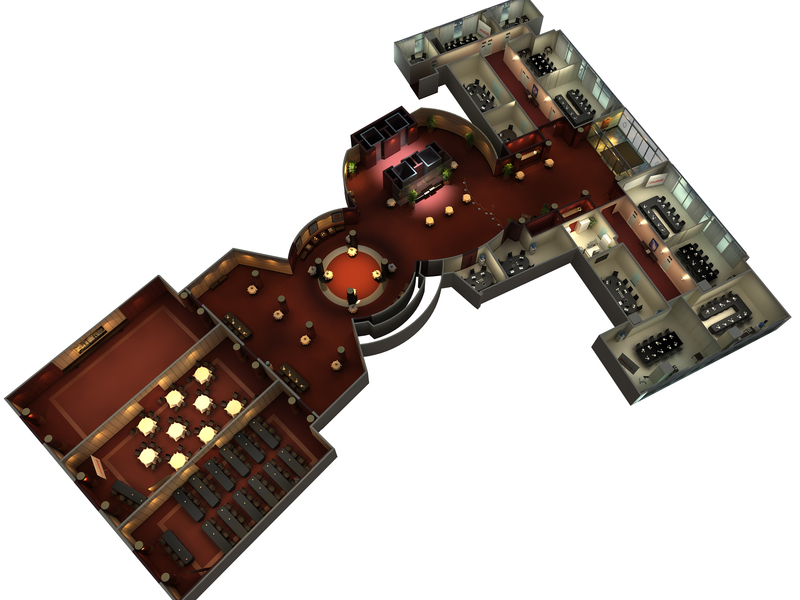 One such example of new technology is the use of creative and high definition 3D virtual venues using a steady mix of 3D walkthroughs and 3D floor plans. These ideas are great in order to present to clients particularly during the proposal stage. This is definitely the best way to kick start a proposal and give your proposal the much needed kick that it would need in order to proceed to the next level in terms of business. With 3Dwalkthroughs.com any and all businesses can not only showcase fabulous works for portfolio and marketing purposes but also for increasing consumer awareness of your real estate or architectural company. You are currently browsing the 3D Walkthroughs blog archives for November, 2010.